Enjoy the sounds of local musicians select Sunday nights in the summer. 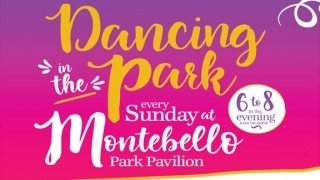 Montebello Park will be filled with music, from 6 p.m. to 8 p.m.
Bring your chair or blanket and enjoy the show. Performers will play in the bandshell and the pavilion will be available for dancing. Seating throughout the park is encouraged. Make a night of it. Feel free to bring a picnic or pre order a box supper (August nights only) for pick up at the park. Details below. Please see below for details and performers each night. Please bring a chair or blanket to sit on. Tables and chairs will not be provided.